Taking cue from realtors who use drones to get more comprehensive shots of properties, more farmers in the U.S. are said to be following suit. And why not? 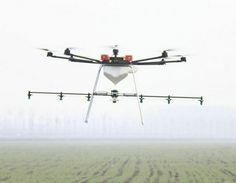 As farmers from other parts of the world realize, there are a number of ways drones can be useful in agriculture, such as in soil and field analysis. However, there can also be challenges to using drones in the farm, and among these is how to use all the information that can be gathered. Despite these though, drones are farmers’ new best friends, just as they are for those involved in drone photography.